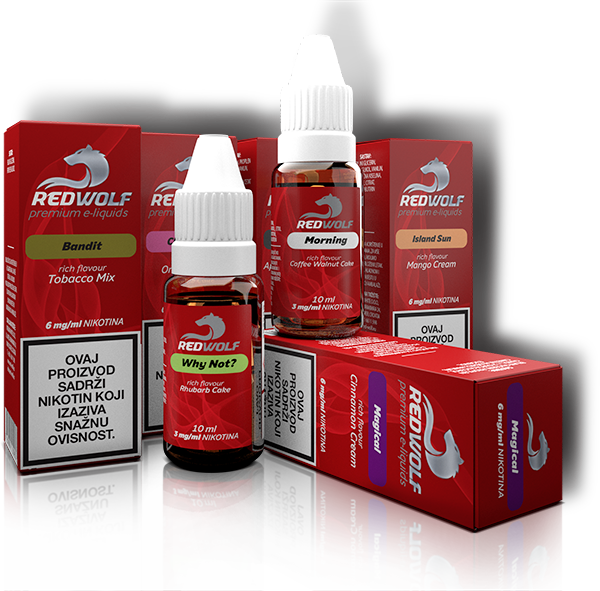 Red Wolf is a premium brand with complex aromas and a variety of fruity, creamy and tobacco flavours suitable for all users. We take pride in the quality of the product, giving it a name that speaks for itself. Trough series of testing we have come to the optimum flavours and nicotine variety ratio for all E-liquid users. Our goal is never to compromise on product qualities. We are committed to bring best possible product to our customers and with their feedback we keep modifying and updating our products to give greatest vaping experience possible.